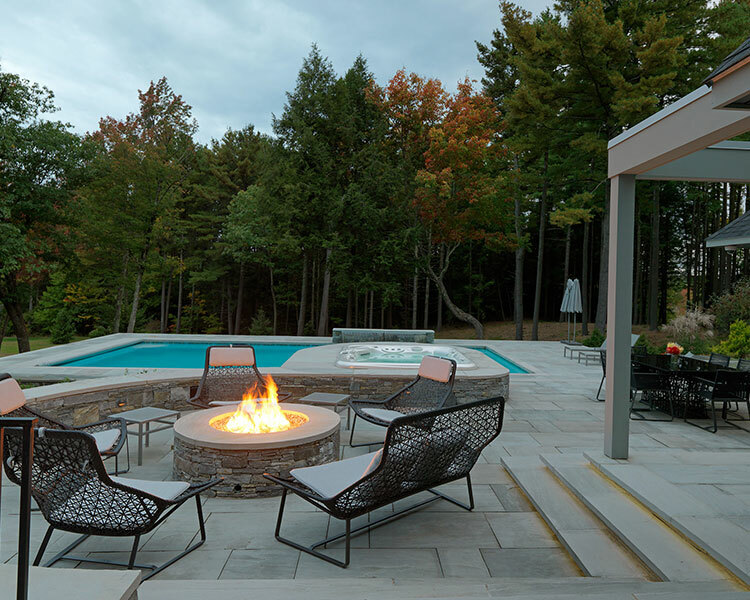 Fire pits have long been an alluring outdoor feature for homeowners. They make a great way to gather with friends and family, create a romantic ambiance, or simply to relax. There is something so appealing about the crackling sounds of the hot embers, the smoky smell of the burning logs, and the comforting radiant warmth of the fire. Fire pits are a fun way to bring your indoor activities outside, get more use out of your backyard (especially during the cooler months), and to raise the value of your property. Before you dive right in and install your own outdoor fire pit, there are a few considerations you need to be aware of. This checklist will help you plan the ultimate beautiful—and safe—fire pit for your yard. Do your research—some communities may even ban fire pits altogether. Whatever the regulations for your area, be sure to follow them carefully so that you can enjoy your enhanced yard for years to come. The cost of a fire pit can range from a few hundred dollars to several thousand depending on the size, type of materials, and custom features. If you’re planning to include any additional elements such as a patio or sitting wall, those will increase the final total as well. It’s important when starting any project to understand the various price ranges for different products. Consider setting a budget before you begin so that you can manage your expectations as the project goes on. The decision of a wood fire pit verses a gas fire pit involves thinking over a few pros and cons. You’ll need to determine which of the factors below are most important to you and your lifestyle. The location of your outdoor fire pit needs some consideration. Do you want the fire pit to be the focal point of your yard or do you want it to be in a more secluded area of your property? Remember, the codes and regulations we mentioned earlier may determine what your options are as far as placement. If you choose a wood fire pit, be considerate of your neighbors when choosing a location. Wood fire pits produce smoke, which can travel through your neighbor’s open window and become disruptive. Keeping wood dry will help your fire produce less smoke. One way to keep your wood dry is to keep your wood off the ground and covered from the weather. TIP: Using materials similar to what you have inside your home will create an aesthetic flow that can really boost your property value. Ensure that your fire pit is not too close to fences, structures, trees, power lines, or any overhanging objects. Ten feet is a good distance to keep your fire pit away from any objects that could potentially burn. Before digging out an area to install a base for your fire pit, make absolutely sure you are aware of all gas lines, power lines, septic pipes and tanks that may be where you are digging. Never use gasoline or lighter fluid on your fire. Avoid soft woods like pine or cedar which have a tendency to “pop” and throw sparks. Additionally, disclosing your fire pit maybe a requirement of your homeowner’s insurance policy. At the very least you should understand how a fire pit may affect your coverage. Lastly, the final touches on your outdoor fire pit should create the ambiance that you are trying to achieve. 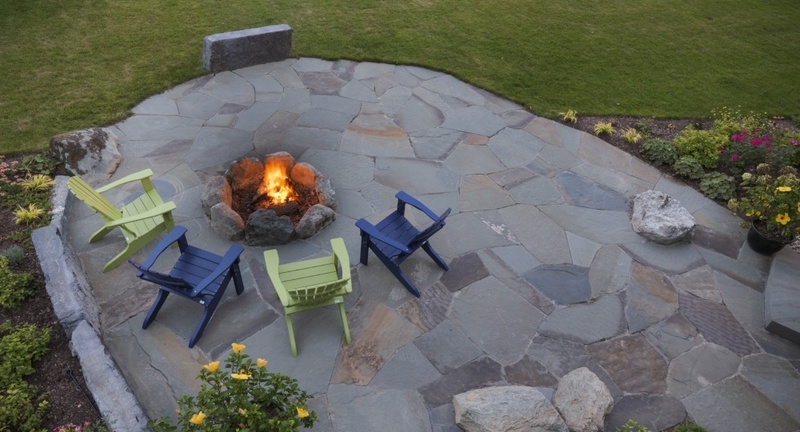 Seating such as chairs or sitting walls are a great way to make the fire pit more inviting. 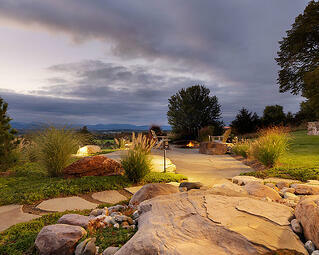 Additional landscape lighting is a unique way to create an appealing atmosphere. Low LED lighting, string lighting, or even torches add a very pleasant ambiance, and disperses the light so that you are not entirely reliant on the fire for lighting. If you install a wood fire pit, log tongs and a fire poker are convenient tools to have handy. And don’t forget to keep the makings for s’mores nearby! Fire pits can create an enjoyable experience for you, your family, your friends, and guests and are a wonderful way to spend some more quality time outdoors. 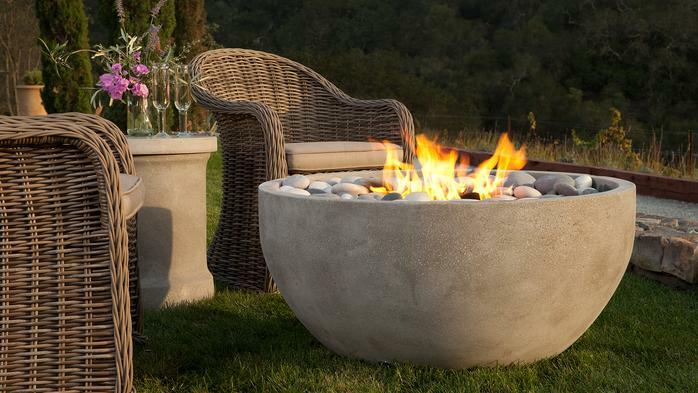 To start planning your fire pit today, contact Trowel Trades Supply and discuss your ideas with our experts.